The Holiday Season is upon us and the toughest decision is what to get that special someone….Why not decide on a gift that will keep on giving and that they will definitely use everyday? Our first suggestion is the LaLoop Collection. 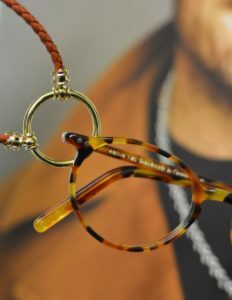 A luxury item that is meant to avoid misplacing your glasses or sunglasses ever again in style. They come in leather, silver and pearls for those that want that extra chic look. If that doesn’t fancy you, why not a French made felt case? 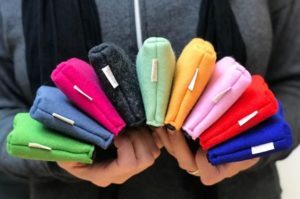 The Valrose Company produces gorgeous cases made from felt and also leather. The colors are extravagant, vibrant and will definitely help you find those glasses in your case or purse. If none of those ideas tickle your fancy, why not go simple and pick up a Gift Certificate? Let that special person decide what to get from our large selection of luxury brand eyewear and sunglasses like Robert Marc, Oliver Peoples, Lunor….and for the sports lover we have Oakley and Maui Jim.